The patient is a 63-year-old African American non-smoker. Due to a persistently rising PSA, a Urologist ordered a PET scan. The patient was diagnosed with prostate cancer and was treated with radiation and hormonal therapy. The PET scan also showed an incidental 2.3 x 1.4cm nodule in the superior segment of the left lower lobe. The patient was referred to Dr. Raval for assessment of the lung nodule. Due to the nodule size and PET positivity, the patient was recommended for Navigated Bronchoscopy to biopsy the LLL nodule. A vPad™ was placed on the patient’s sternum with the outboard pads placed on the contralateral side of the target. Veran’s same-day inspiration and expiration CT scan protocol was followed. The scans were then pushed over to the Veran planning station via DICOM. 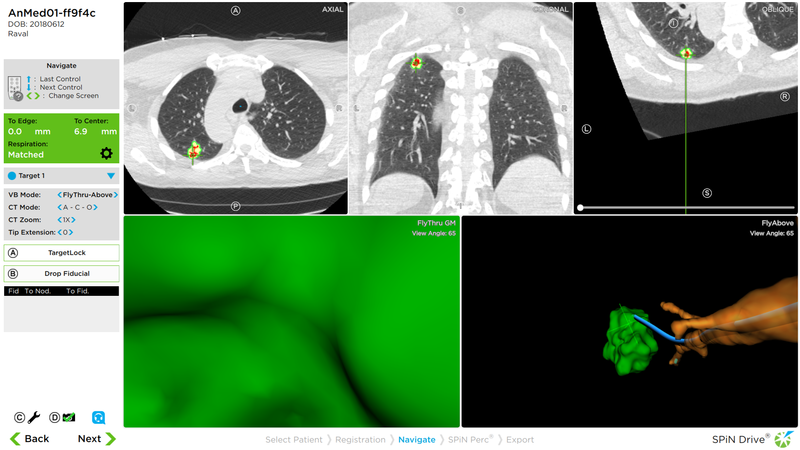 Dr. Raval used the SPiN Planning™ software to automatically segment the nodule, and he reviewed and accepted the planned endobronchial pathway the software automatically created. The nodule had increased slightly in size from 2.3cm to 2.9cm. Dr. Raval started by positioning the field generator over the patient for an automatic registration. The main and secondary carinas were checked to verify accuracy. Dr. Raval then navigated out to the superior segment of the LLL and took 3 FNA’s of the 2.9cm nodule with an Always-On Tip Tracked® 22ga SPiN Flex™ needle. After taking several FNA’s, Dr. Raval switched to a tip tracked serrated forceps and was able to take 11 large samples. Dr. Raval concluded the procedure with a BAL. 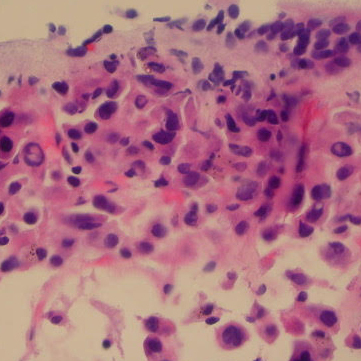 The final pathology report showed benign bronchial epithelial cells with macrophages for both the BAL of the LLL and the FNA of the nodule. The forceps biopsies all were positive for malignant cells, consistent with non-small cell carcinoma. 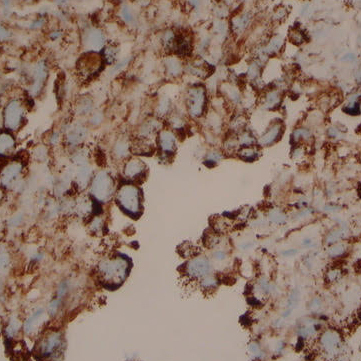 Immunostains on the tissue block results were TTF-1 positive and P40 negative. 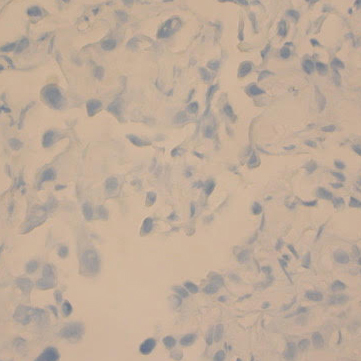 The morphology and immunohistochemical profile is consistent with a non-small cell carcinoma with the immunophenotype being most consistent with an adenocarcinoma of pulmonary origin. After being diagnosed with stage I adenocarcinoma, the patient was referred to Thoracic Surgery and underwent curative surgical resection.